If the session check is done like this in the MQ4 code, it will replicate the behavior of EA Studio backtests correctly. Probably it is better to fix the EA Studio behaviour. I'm planning an update next week. I'll try to fix that also. GeekTrader, I cannot reproduce the issue. 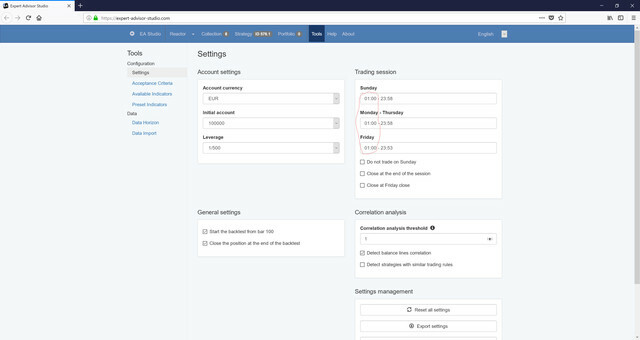 Please make a screenshot of the "Trading session" page and attach a simple expert for further examination. Hi :-) I will do that this evening most likely and post it here. Here is the example. The strategy (on H1) used is just a dummy I´ve thrown together (unprofitable), you can recreate it with any strategy that trades something really. 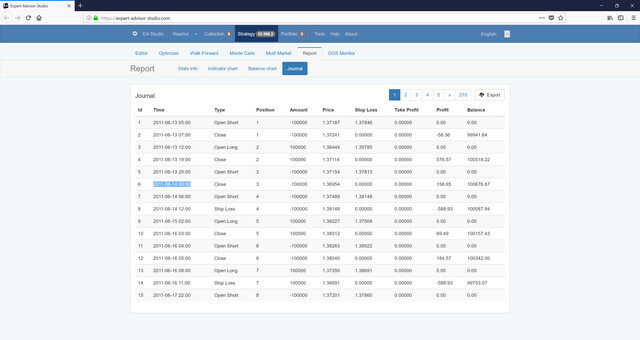 As already noticed, in the exported MQ4 code of such strategies, it never closes trades at 00:00 because the session check is implemented correctly there. has this been fixed already in one of the latest updates? Just wondering.